Brighten Your Day With the Rise and Shine Giveaway! Good morning and a wonderful Thursday to you my friends! Thursday means the weekend is drawing near and to that we all say, yeah! My hope for each one of you is for beautiful sunny days to get outside and soak up some vitamin D.
In the meantime, I’m joining my friend Katherine from Katherines Corner and the Katherines Corner Shop for her Rise and Shine Giveaway. 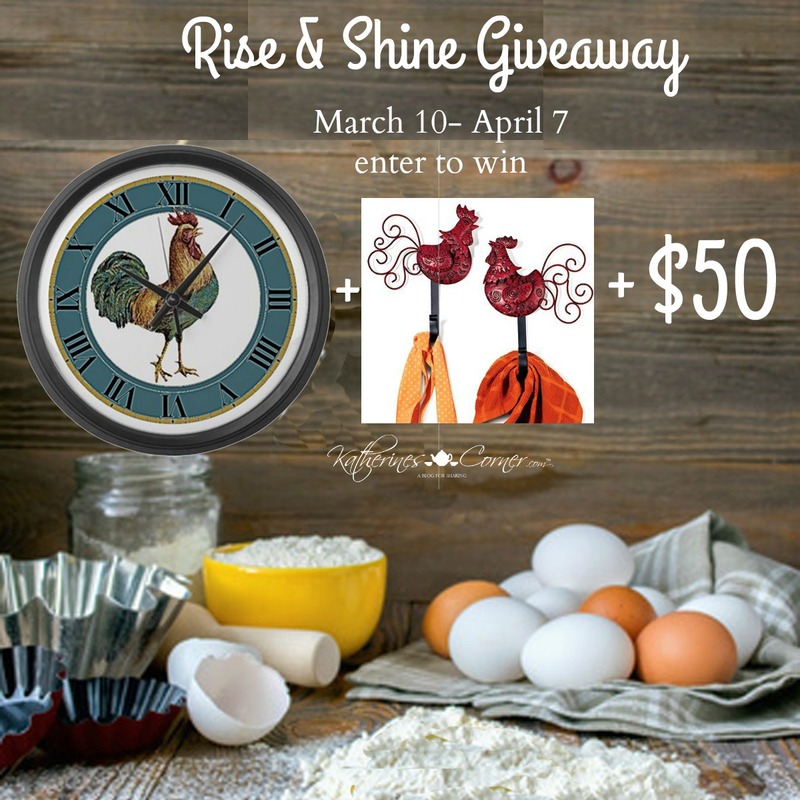 One winner will receive a Vintage Inspired Rooster Clock and a set of Rooster Hooks from Katherines Corner Shop and a $50 Cash prize or Amazon gift card (winners choice) provided by Katherine and her Hostesses. This giveaway is not endorsed or affiliated with Amazon or PayPal. 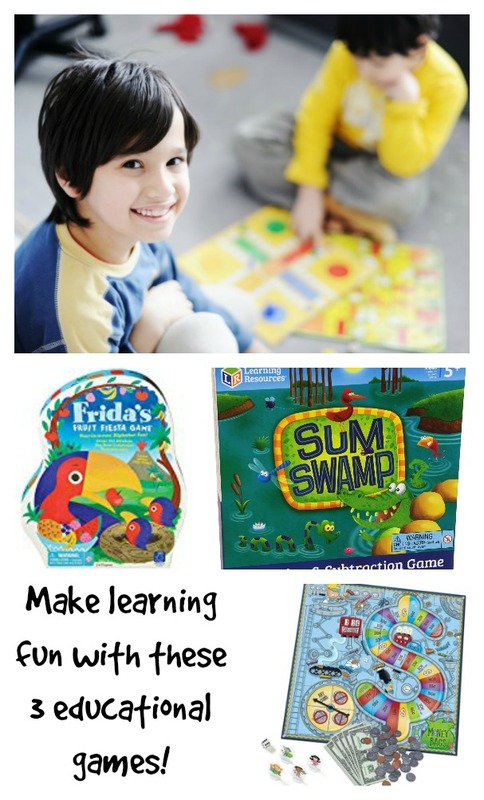 3 Educational Games That Are So Much Fun Your Grandchildren Won’t Realize They’re Learning! My grandchildren love to play games and I love playing with them. We have a variety we enjoy playing; Hungry Hungry Hippo, Go Fish, Eye Spy, etc. Though all games can be used as a teaching experience, my grandchildren now have 3 educational games that are specifically designed to teach either math or letters. Read more…. 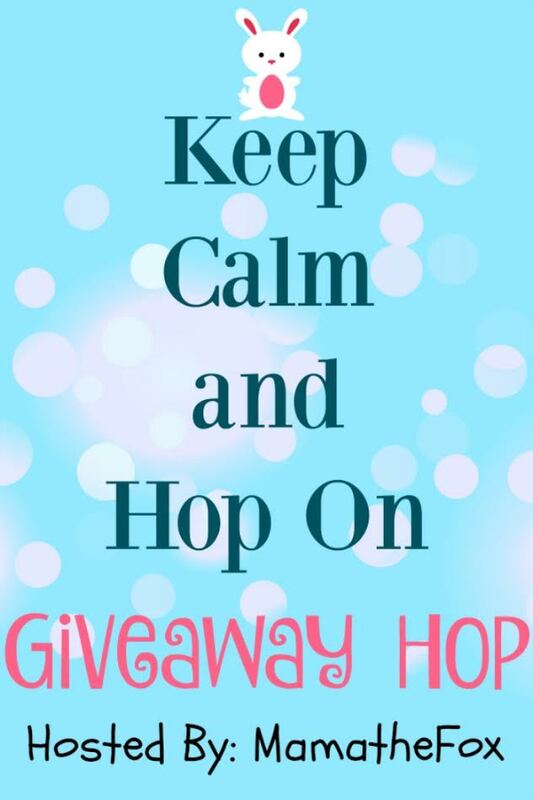 Keep Calm and Hop On Giveaway Hop is Happening Now! 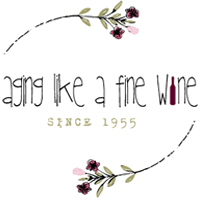 A giveaway hop that makes us think of spring! Time flies by so quickly. We’re more than halfway through winter and before we know it, yes… it will be spring! Our first sign that spring is on the way is seeing robins returning to our yard. Next it’s the bare hint of green on weeping willow trees and on the underbrush visible in the woods. I always get excited when I see these things happening! Now that we’re thinking spring, what’s not to like about a giveaway hop that puts a spring in our step and causes our mind to jump forward to spring projects? Nothing, right! So, when I was given the opportunity to participate in this hop, I jumped on board: Read more…. 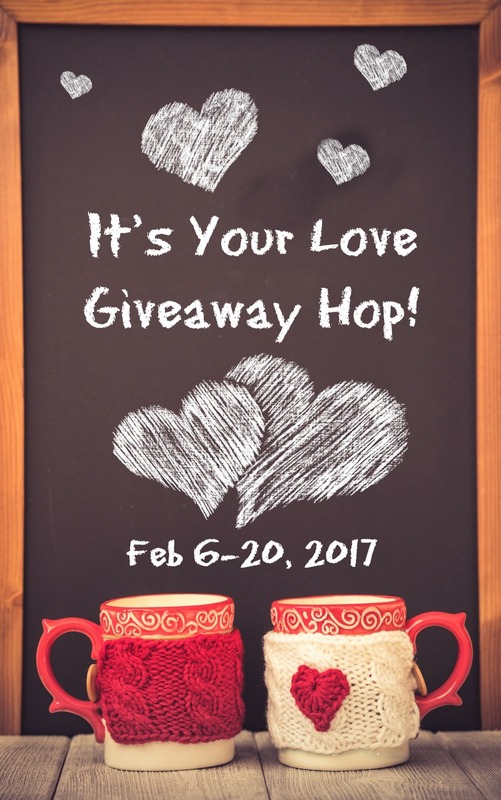 Just in Time for Valentine’s Day, the “It’s Your Love” Giveaway Hop! It’s February, and what day comes to mind when we think of February? Valentine’s Day. And what does Valentine’s Day mean? It means that love is in the air! What would make February and Valentine’s Day even better? I say that being able to enter a bunch of amazing giveaways would definitely help! Anderson’s Angels, This Mamas Life, The More The Merrier and Woven by Words, are very excited to help create It’s Your Love! I’ve teamed up with them and 17 other wonderful bloggers, to bring you another great giveaway event! Each blog has gathered a prize package to be given away in the It’s Your Love Giveaway Event! Read more…. If you’re my age you probably remember Kris from his rugged, raspy voice and his bad boy image. Read more…. The Jeepers It’s January Giveaway Hop is Happening Now and It’s Huge! Each year January signals the beginning of a bright, new year. It also brings with it the cold days and evenings that provide us with the opportunity to dig out our cute winter hats, gloves and scarves. 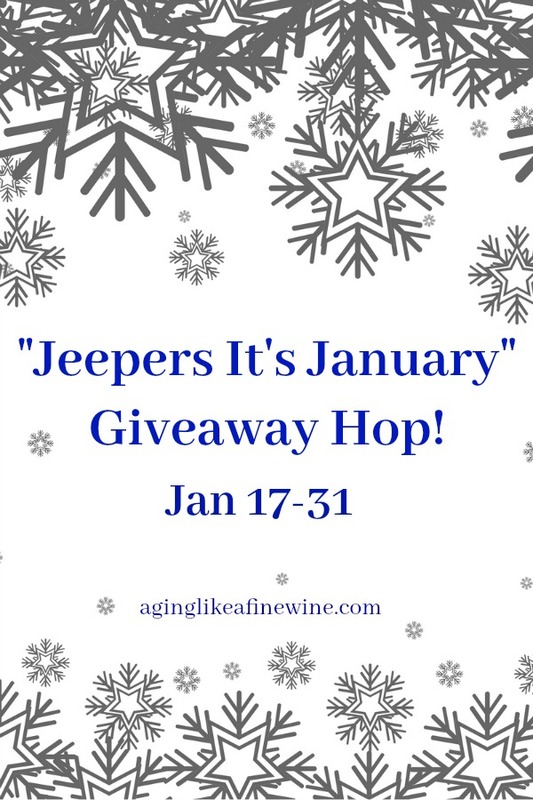 And now, for the second year in a row, January also brings us the “Jeepers It’s January” giveaway hop, which is hosted by The Mommy Island and The Kids Did It. I’ve decided to join them this year, along with lots of other great blogs. Read more…. 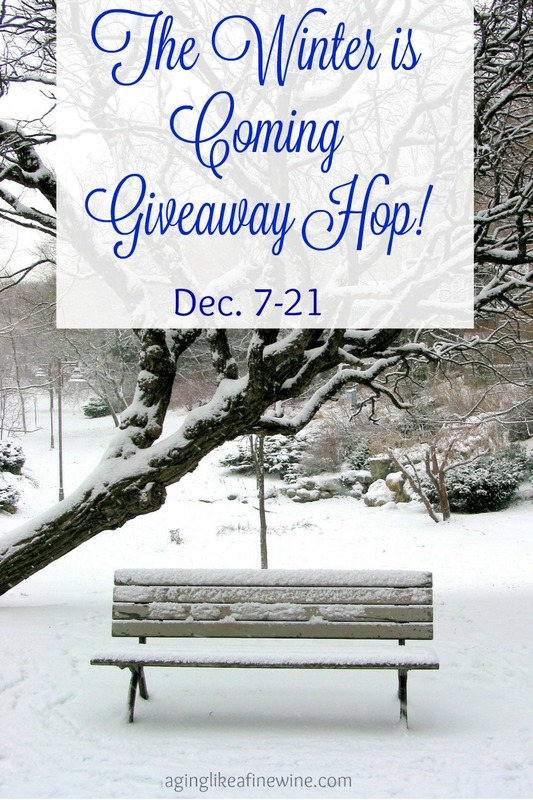 Grab some hot chocolate, snuggle up and enter the Winter Wonders Giveaway Hop! It’s official! Winter has begun! And along with it, the cold, the early sunsets and depending where you live; snow. Our snowfall totals this year are right at about: one entire inch. Most people won’t miss the snow should it decide to pass us by, but I like to get one good snowfall. Do you too, or does snow, cold days and the sun’s setting early leave you feeling a little blue? 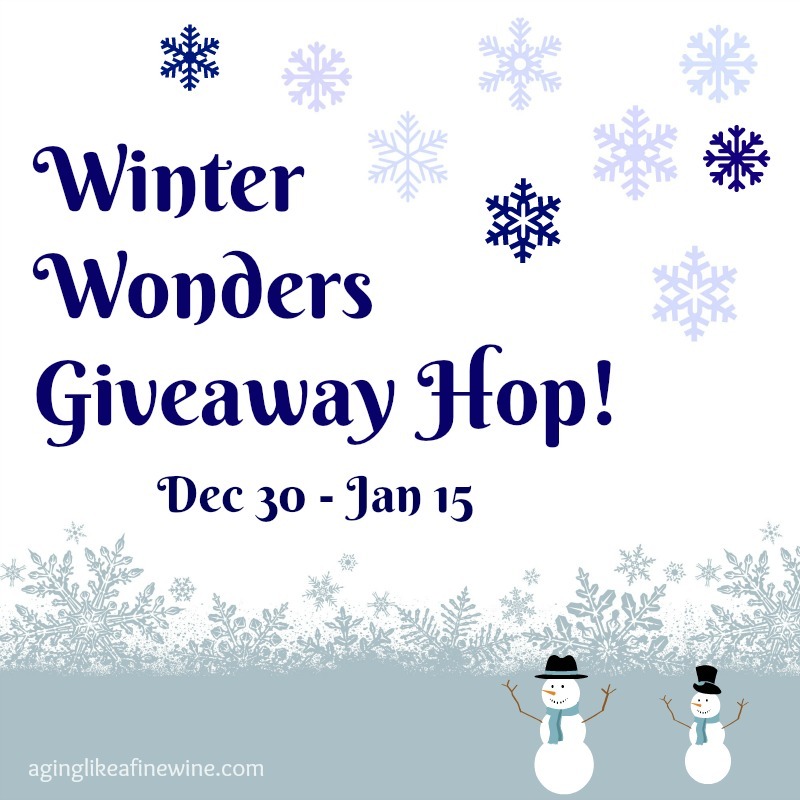 If so the Winter Wonders Giveaway Hop has arrived in time to add a little cheer to your day! Read more…. Trans Siberian Orchestra Concert in Hershey, PA… Lively, Loud and Colorful! Trans Siberian Orchestra (TSO), the progressive rock orchestra has been delighting audiences for 20 years with their blend of Christmas storytelling and hard rock music. 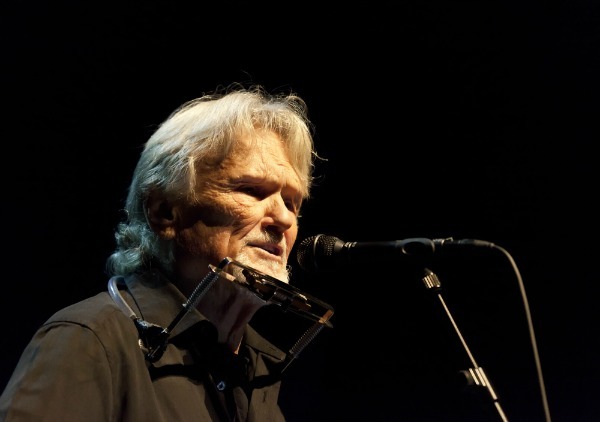 My husband Paul, and I went to see them for the first time 10 years ago in Hershey, PA. We loved their music and the story of the little angel seeking to find good on earth. 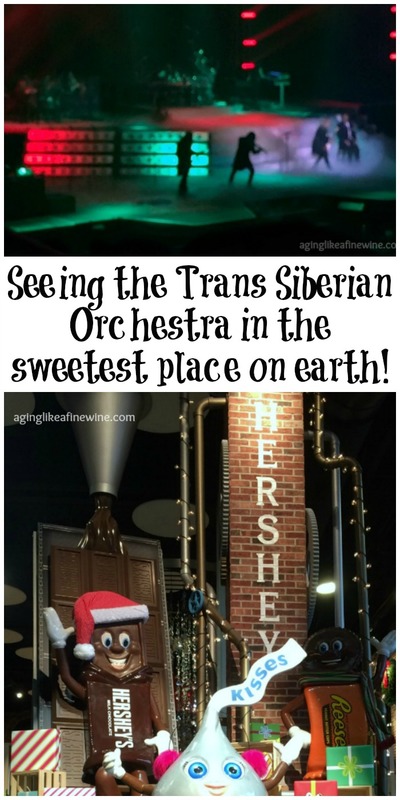 We returned to Hershey, PA on Friday, Dec. 16th to once again see the TSO. This time Read more…. 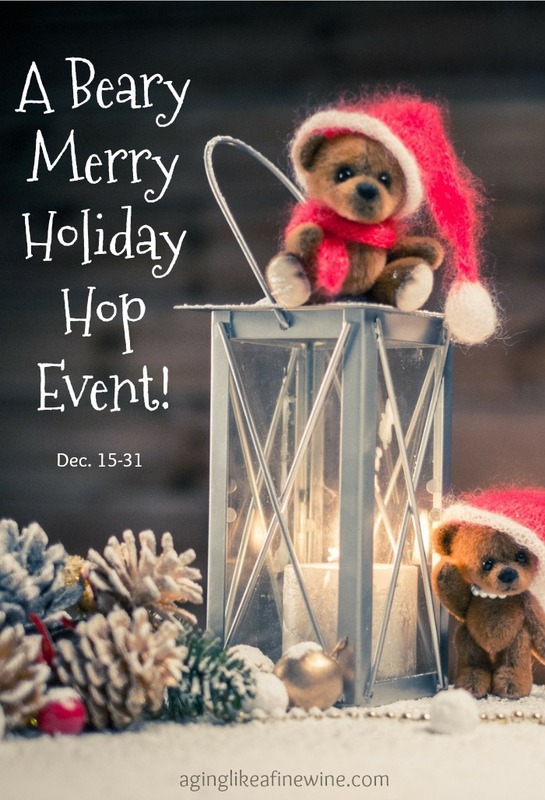 Celebrate the Holidays With the Beary Merry Holiday Hop Event! The holidays will soon be a thing of the past and will have left most of us hoping for a little extra cash to fill our now empty wallets! The Beary Merry Holiday Hop might be just what you need to get a little $ relief. I’m excited to offer one lucky winner a $25 visa gift card to help out in the relief department! Read more…. Oh, Baby It’s Cold Outside! Warm Up With the Winter is Coming Giveaway Hop! Here in the East, temperatures have definitely taken a dip. It seems that normally our weather turns cold on October 31st. You know, just in time for the kids to freeze while they’re out trick-or-treating! But this year we were spared for a little while, which I’m grateful for. The first day of winter is December 21st, so get ready wherever you live! Being stuck inside gives you more time to enter giveaway hops, right? So grab a cup of hot chocolate, bundle up and enjoy the Winter is Coming Giveaway Hop sponsored by The Mommy Island and The Kids Did It. Read more….